The stats show that drinking alcohol in Australia is on the decline, with young people (both teenagers and young adults) at the center of the drop. 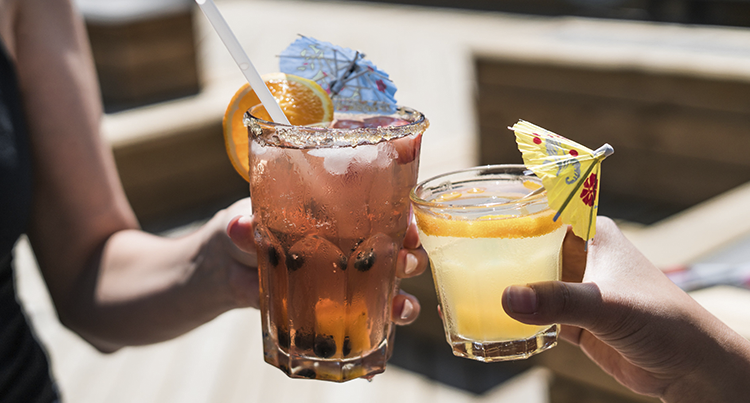 More and more young people are choosing to either not drink at all or to reduce their alcohol consumption - which means it’s the perfect time for hospitality venues to ramp up their non-alcoholic drink options. Plus, improving non-alcoholic options will appeal to families with younger children, customers who are pregnant, and those who don’t drink as a religious or lifestyle choice. So, how can you make the modest mocktail one of the most talked-about elements of your menu? We’ve got a few ideas. There are thousands of different alcoholic cocktail recipes out there, from delicate drops to the garishly garnished. But while there is room for some creativity when writing a cocktail recipe, each type of alcohol will have a distinct flavor profile that must be built around and constantly considered. 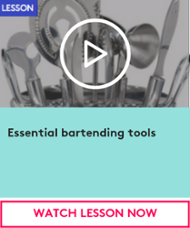 The beauty of mocktails is that the slate is completely clean; you can be as creative and flexible as you wish, and it’s far easier to have a revolving list or special features. Adding a unique list of mocktails to your drinks repertoire also gives venues the perfect chance to tap into societal trends. 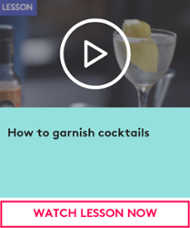 You can run mocktail campaigns during Dry January or Dry July, use your social media and other marketing collateral to market your drinks list to a more diverse crowd of people, and even look at doing custom recipes and garnishes for particular holidays or times of the year. Whether it’s building your drinks list or listing the food specials on a blackboard, it’s important to remember how important names are. Often, customers will select a food or drink option - or be swayed by it - simply because the name is appealing, interesting or just a little bit different. The way you name your mocktails will always come down to the theme and clientele of your venue, but try to be creative and think outside the box. Arrange them according to color, garnish, or even get a little wild and name them after classic television characters. We think the Tony Soprano Mocktail - perhaps a virgin Bloody Mary - would be a bestseller! Okay, maybe it doesn’t need to be a cherry, but ensuring that you put thought into the final garnishes on your mocktails is vital. Just like cocktails, mocktails aren’t just about flavor and temperature - your customers will also be paying attention to flair. Whether it’s a classic fruit or vegetable garnish presented in a unique way or an inedible ornamental addition, it’s important to place significant value on the way your mocktails are presented. A drink doesn’t have to be alcoholic for customers to be impressed by its aesthetic - and to want to take a snap and share it with potential future customers on social media. Got your mocktails list down pat and want to go that little bit extra? You’ve heard of wine pairings, beer pairings, and cocktail pairings - and now it’s time for mocktail pairings to have their moment in the spotlight. Top restaurants in the US are already having great success when offering customers the option of non-alcoholic pairings, and are tailoring specific flavors and garnishes to each course. Again, there is so much room for creativity - from using farm-to-table concepts to bringing in rare flavors that your customers may not have experienced before, to keeping it simple (but lush!) with coffee and dessert mocktails. No matter what kind of venue you run, there’s a reason that customers visit - and ideally, keep coming back. Take a step back and review what is already working well; what do your customers talk about, what do online reviewers focus on? If it’s your food menu, then think about testing mocktail pairings or recommendations with clientele. If your cocktail menu is renowned throughout the city, use it as leverage in your marketing - mocktails are just cocktails for those who still want to have a great time but don’t necessarily want to drink. Create a mocktail list that isn’t just cocktails with the alcohol removed - but that complements your existing drinks and adds a new element. So, if it’s time to review your non-alcoholic offerings or you’re getting ready to open a new venue, don’t write off mocktails - remember that they can be cool, too! Need some non-alcoholic beverage inspiration? Explore our tea and coffee courses now! Plus, when you sign up your business to Typsy you get the first 10 day's FREE!